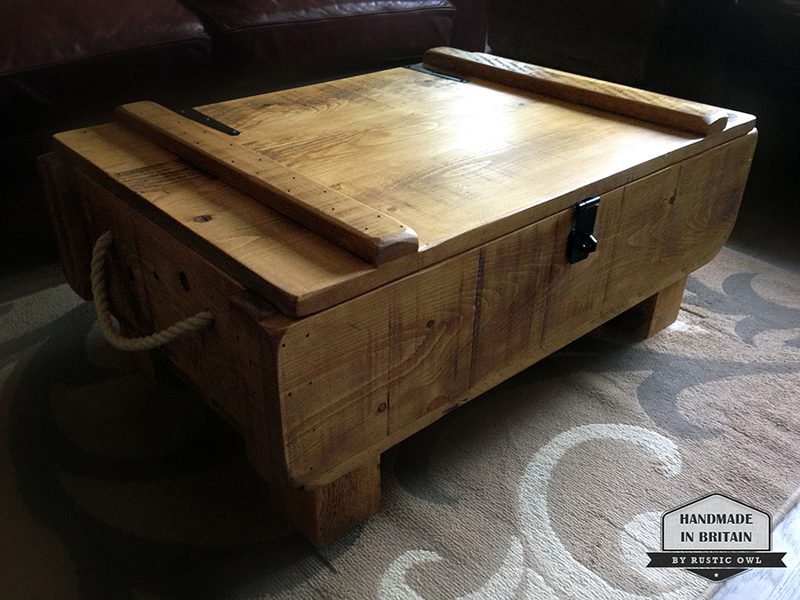 This trunk table has evolved from our rustic trunks which are often used as a coffee table. 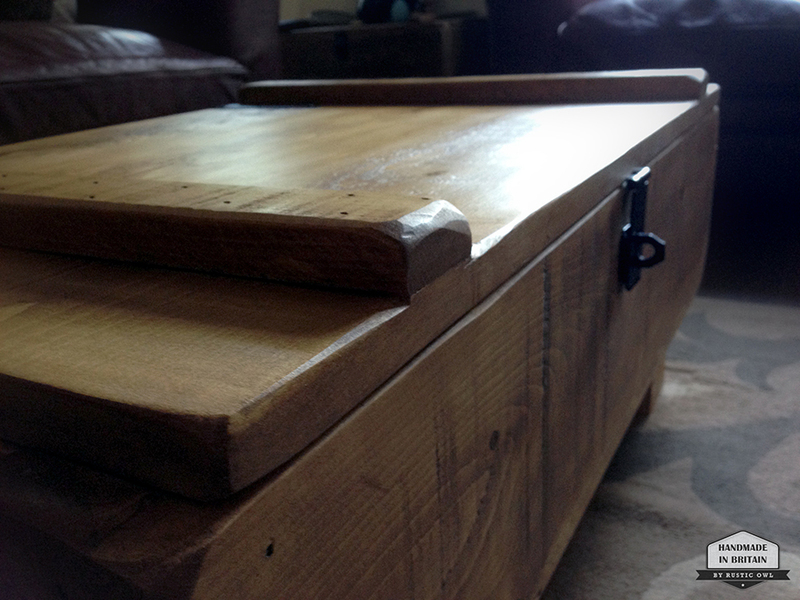 This design gives you the best of both worlds… a large surface area with the useful storage for hiding away all that clutter. Each table is finished by hand to give each one it’s own unique character. 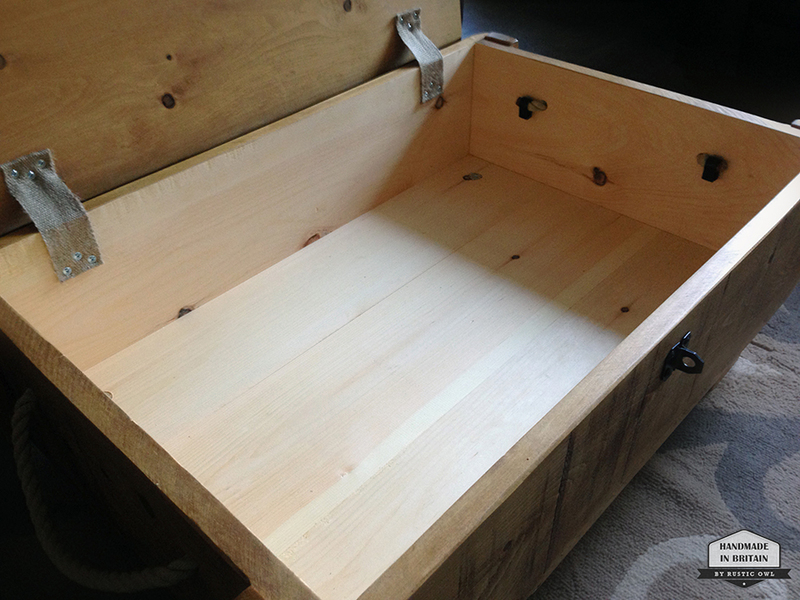 It’s worth noting that this item is made from carefully sourced high quality Quebec pine. 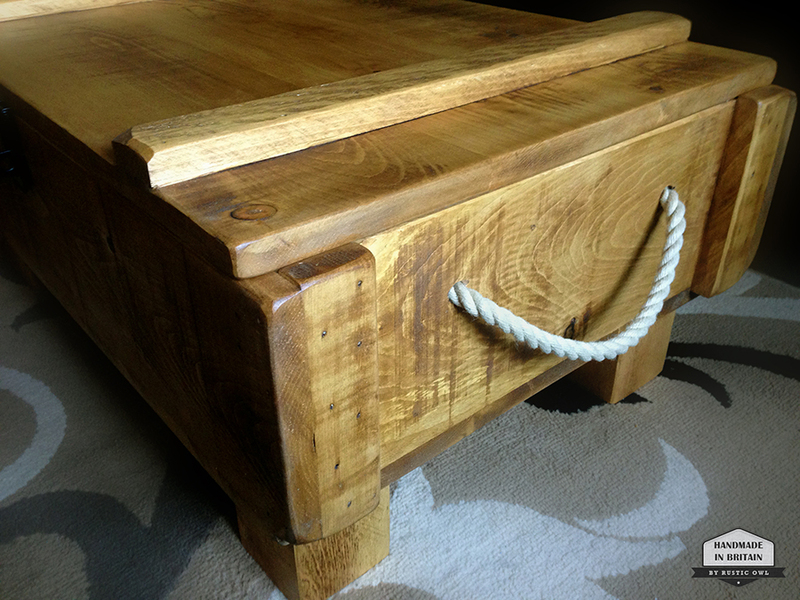 Hand finished with Bees wax which really brings out the character and gives a lovely smooth feel with a subtle shine. Note. 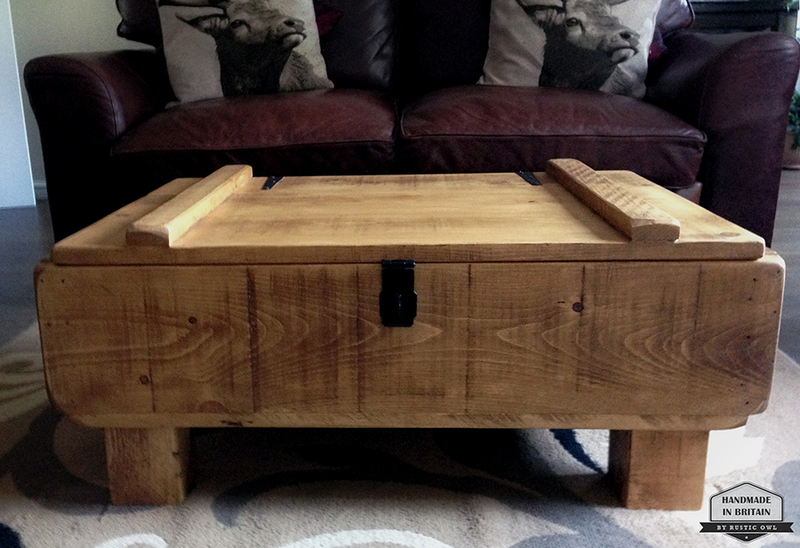 The table is sent with the legs detached to avoid damage during shipping. They are simply screwed on by turning them with out the need for any tools.